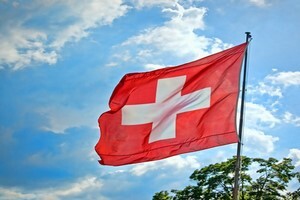 Compare prices on car hire in Switzerland from all the major brands and find the best deals. When you book through us, unlimited mileage and insurance are always included in the price given. Switzerland (7.5 million inhabitants in 2009) is located in Central Europe and has common border with Germany , Liechtenstein, Austria, Italy and France .The country is organized as a federal state consisting of 26 states (cantons). This is a diversity that also finds expression in that country has four official languages: German, French, Italian and Romansh. The scenery in Switzerland is breathtaking – and the country’s main attraction. The middle section is dominated by a smooth landscape with hills and many beautiful lakes, while in the north and south are high mountains (Jura Mountains and Alps). The country’s highest mountain – Dufourspitze in the Monte Rosa massif – located in the Alps. The nature and location have made Switzerland one of Europe’s most popular winter sport country, where the area around St. Moritz and Davos are among the best known. The capital Bern (127,000 inhabitants) is located in the German speaking part of the country.It also makes Basel (166,000 inhabitants) and the country’s largest city, Zurich (380,000 inhabitants, 1.3 million in the metropolitan area).The largest city in the French speaking part is Geneva (187,000 inhabitants), where several international organizations have their headquarters (the Red Cross, Member, WHO and the UN European office). The largest airport in Switzerland is Zurich International Airport (Kloten) – but it is also important international airports in Bern and Geneva. Car-hire.net offers car rental at all major tourist destinations in Switzerland, including Zurich , Bern and Montreux .Prices quoted are carefully compared from several companies. This ensures you the customer a guaranteed low price on car hire in Switzerland.